Free shipping. Buy direct from HP. 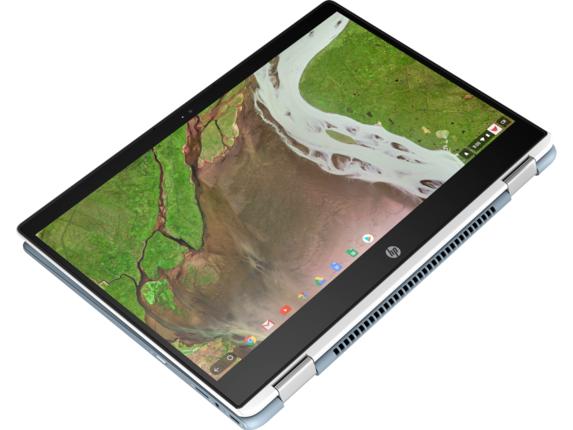 See customer reviews and comparisons for the HP Chromebook x360 - 14-da0021nr. Upgrades and savings on select products. The apps you know and love now run on your Chromebook x360. And with four unique modes—stream, share, and enjoy your favorite content wherever life takes you. At just 16mm thin, this slim PC is designed with premium features which includes a narrow bezel and HD touch display—complete with a color keyboard and stylish, white ceramic-like finish. With long-lasting battery life , 64 GB of eMMC storage , and the latest Dual-Core 8th Generation Intel® Core™ i3 processor. , there’s everything you need to stay productive on the go. With long-lasting battery life, 64 GB of eMMC storage, and the latest Dual-Core 8th Generation Intel® Core™ i3 processor., there’s everything you need to stay productive on the go. 1 Access to the Google Play Store and related apps are available at time of purchase. Google Play store apps are not preinstalled and are available through the App Store. Selected apps may not be compatible on all Chrome devices. For more information go to www.google.com 2 Full high-definition (FHD) content required to view FHD images. 3 Windows 10/ MM14 battery life will vary depending on various factors including product model, configuration, loaded applications, features, use, wireless functionality, and power management settings. The maximum capacity of the battery will naturally decrease with time and usage. See www.bapco.com for additional details. 4 For hard drives, GB = 1 billion bytes. Actual formatted capacity is less. Up to 35GB of system disk is reserved for system recovery software. 5 Multi-core is designed to improve performance of certain software products. Not all customers or software applications will necessarily benefit from use of this technology. Performance and clock frequency will vary depending on application workload and your hardware and software configurations. Intel’s numbering, branding and/or naming is not a measurement of higher performance. 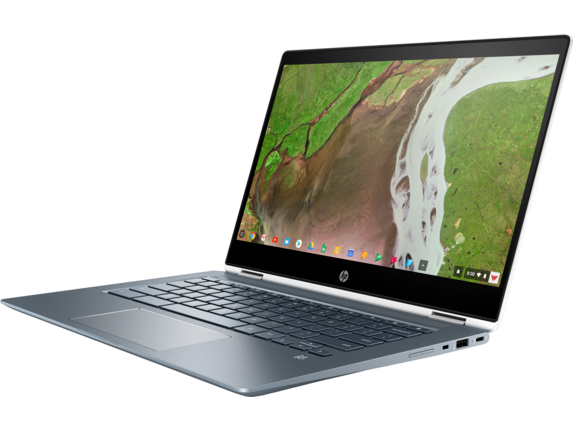 When you need a laptop that can keep up with the variety in your busy day, the HP Chromebook x360 is up for the task and so much more. With four ways to work and play, you'll always have the right device to get everything on your agenda finished with time to spare. 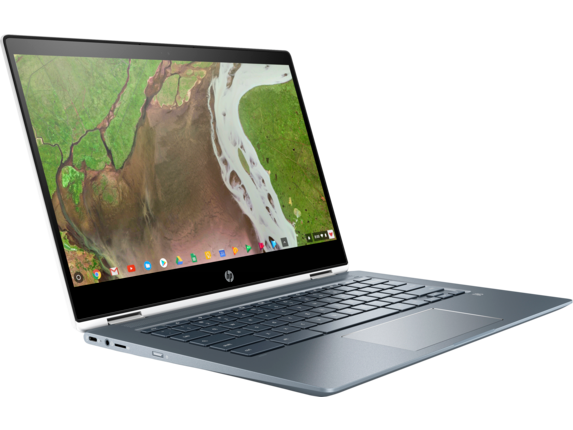 If you want everything you love about your Android phone combined with the screen size and extra features that come with a go-to laptop, the HP x360 Chromebook offers the best of both worlds. With the wide selection of apps available from Google Play, you'll be able to find your favorite apps and use them seamlessly on the same computer you use to get your most important work done. When it comes to getting those things done, you'll have some serious power to back you up. With the smooth and strong 8th Generation Intel® Core™ i3 processor, a dependable 8GB of memory, and Intel UHD Graphics 620 available, you'll have all it takes to give that project a final push to completion before your important deadline. Add in the 64GB of eMMc storage and you'll have extra space to save all of your work, even when you don't have access to the cloud. 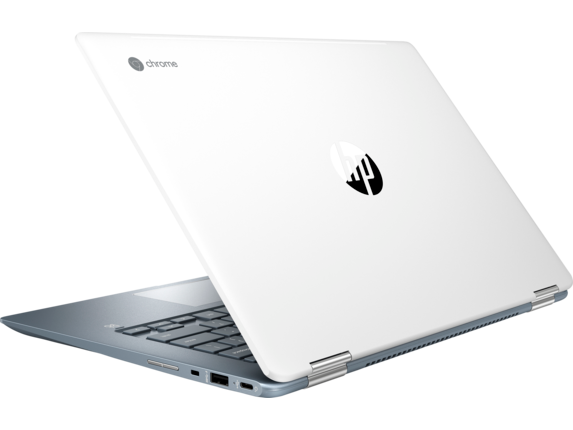 And if style matters to you, this HP Chromebook offers a ton of that too. The 16 mm thin frame means this laptop fits almost anywhere with ease. And the beautiful ceramic white finish and sharp Full High Definition (FHD) display combine to ensure your device is easy on your eyes and the eyes of your collaborators. For another tool that produces great looking results, the HP Sprocket photo printer offers a way to easily print stunning photos directly from your smartphone or tablet. At a size similar to a typical cell phone and convenient Bluetooth connection capabilities, you'll have all it takes to get beautiful prints no matter where you are in the world. And thanks to the ZINK® (Zero Ink) technology, you'll never need an ink cartridge to get a high-quality finished product. 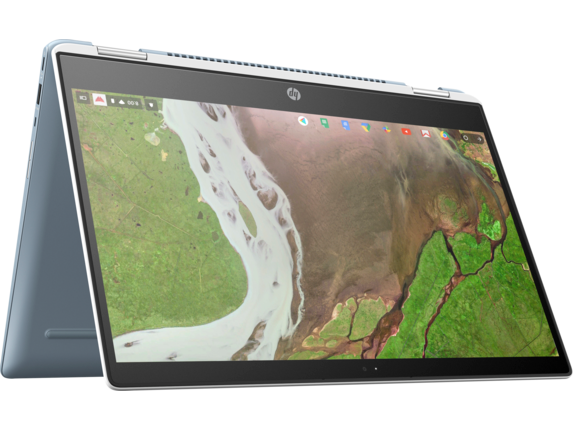 With four different modes, the HP Chromebook x360 lets you approach your day from the angle made for that particular moment. In the classic notebook mode, you'll have the easiest way to type out an email to your family back home or write up a winning proposal. Putting your device into tablet mode lets you read with ease, or write and draw with a swipe of a finger. In stand mode, you can watch your favorite show or start a video conference at an angle that's just right. And with the included HP Wide Vision HD camera and dual-array digital microphone, you can be sure you’re always seen and heard like you're right there in the room. Tent mode allows you to put on the perfect presentation or play your favorite games whenever you have downtime. No matter which option you choose, you'll never be limited in what you can accomplish. Add in the 14-inch diagonal Full High Definition (FHD) display and you'll always be able to see your to-do list or streaming queue with sharp picture quality that rewards you with clarity. And with a battery lasting up to 13 hours and 30 minutes, you'll have tons of time to wrap things up before you ever need to reach for your charger. To bring all of the versatility your HP Chromebook provides wherever your journey takes you, the HP 15.6 duotone briefcase delivers with a style that leaves a big impression. The padded pocket protects your investment when you leave home, and you also get additional areas of storage for the rest of your essentials. With this briefcase, you'll have a secure and convenient choice to take your work anywhere. The exterior looks great, too, making this the best way to carry your favorite device. If you can't decide between a laptop or a tablet, why not choose one device that can offer you all of the options you'll ever need? 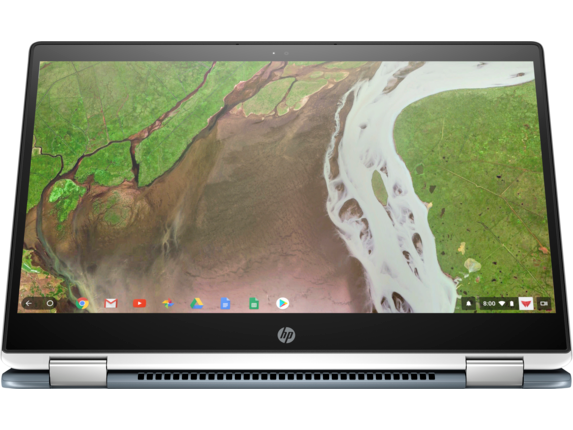 With the HP Chromebook x360, you get the perfect combination of versatile HP hardware with all of the power Google can provide for consistent results on even the most unpredictable days.